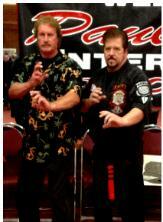 Kenpo. I thought this was an excellent subject for all of us instructors and parents. parents who tell us that "my child tried this and that sport and always winds up quitting!" the same scenario of wanting to quit. 1. "I don't want to force my child to do something they don't want to do." 2. "I don't feel like arguing with them." that puppy dog look. I'm sure it makes you feel terrible and makes you want to give in. have a domino effect later in their personal life. 1. Among their peers if they feel they are not winning a game, they simply just give up. 2. The moment they feel a challenge coming on or experience hard work, they quit. 3. Statistics show that more than 70% of students quit college way before graduating. I remember my parents telling us that school & education was the most important thing. They said without proper education you will not be successful when you're an adult. 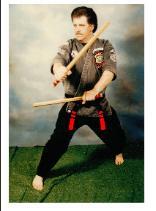 that I wouldn't be the person I am today if it wasn't for Martial Arts, for many reasons. 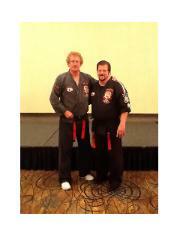 become some of the best Jr. and Adult Black Belts we have ever had. this relates to your situation. at the AKKI Int'l Camp in Evanston, Wyoming.